Preaching on commercial buses must stop in Ghana, Daniel Nii Kwartei Titus-Glover, Deputy Minister of Transport, has said. According to the Member of Parliament for Tema West Constituency, allowing people to preach on buses could divide the attention of the driver and possibly cause an accident. 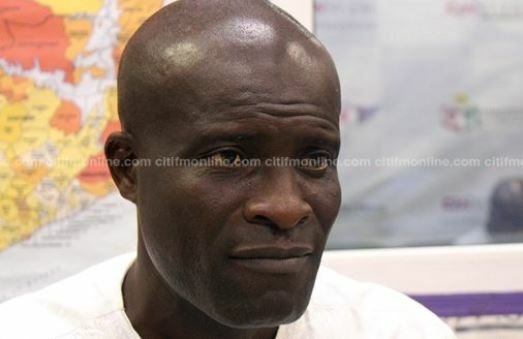 Mr Titus-Glover’s concern comes in the wake of the ghastly crash involving two huge buses at Mankron near Suhum on the Accra-Kumasi Highway early Wednesday which killed at least ten people. Several other passengers on both buses also sustained injuries. First responders from the Ghana Police Service, National Disaster Management Organisation (NADMO), and Ghana National Fire Service rushed to the scene to salvage the situation. One bus has registration number GN 6600 – 17 and the other GS 835 – 16. The injured have been rushed to the Suhum Government Hospital for treatment while the dead have been ferried to the morgue, Classfmonline reports. Speaking on Ghana Yensom on Accra 100.5FM on Wednesday, 13 June, Mr Titus-Glover told Chief Jerry Forson that road safety is a shared responsibility, therefore, all stakeholders must come together to reduce the menace. He also cautioned the drivers against speeding and wrong overtaking. Mr Titus-Glover said: “At every opportunity, we need to talk against indiscipline on our roads as part of the fight against accidents. “One of the things I have noticed in recent times which I have communicated to the driver unions, is the trend where some pastors preach in buses. “I am not against preaching, religion is very good and I am a Christian, but when the driver is driving and a pastor is preaching, it has the propensity of dividing his attention, some of the drivers are passionate about religion, and, so, when they get soaked too much into what the preacher is saying at that moment, his attention will be divided.